Construction Layout Services | KLS Group, Inc.
Construction layout services are the primary source of future construction for a variety of sites. KLS Group Inc., located in Metairie, LA, has earned a reputation as a full-service construction layout provider to the construction industry. The trained and licensed staff of KLS Group Inc. assures customers of attention to detail, precision surveying and a strong commitment to reliability. These features are the primary reason KLS Group retains long-term, loyal clientele. 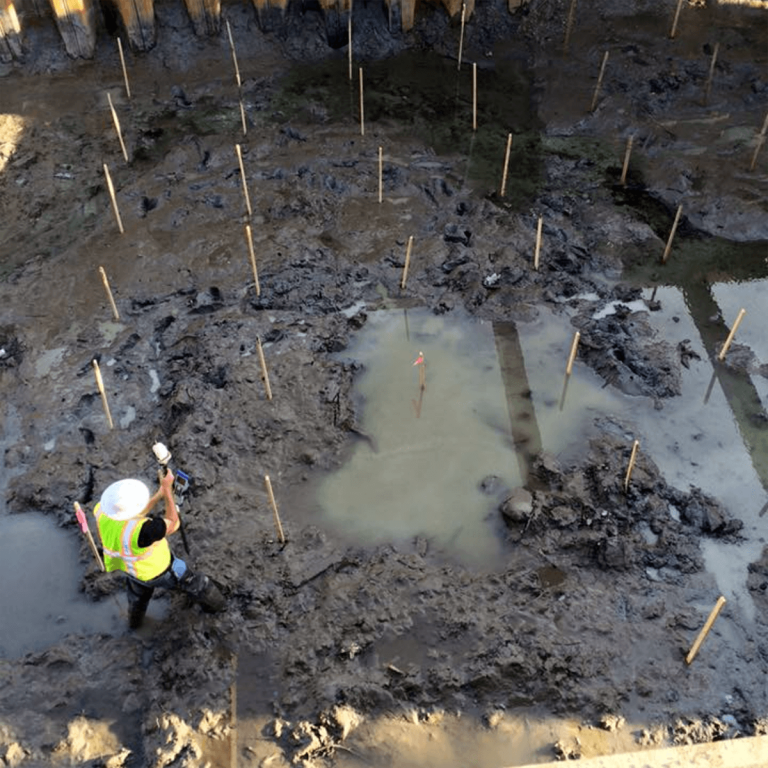 When customers require construction layout services, they need the assurance they will receive professional surveying from skilled surveyors who stake construction sites. This allows drafting designers to create precise measurements of land and buildings about to undergo construction. There is much more to construction layout than meets the untrained eye. For example, a predetermined design indicates where specified stakes and markers should be located. However, in commercial and residential construction planning, these need to be in compliance with local and state land regulations. KLS Group’s staff of designers indicates where any potential non-compliance areas near the planned construction site exist. KLS Group works with customers who require levee staking, residential and commercial staking and the all-important utility layout. We serve as a primary consultant for staking services for streets in the Metairie LA area. A construction site without an experienced, skilled staff of construction layout surveyors can have serious and costly consequences. For instance, if the construction layout is not exact to actual site configuration, construction projects can impact other buildings, streets and utilities. These errors are costly to planned construction projects and may result in non-compliance. KLS Group does the job right the first time, a factor much appreciated by customers. It's important to note that good construction layout has a long term impact on “as built” construction and designs. The professionals at KLS Group understand the significance of error free construction layout. Thus, every construction project based on KLS Group services is accurate and reliable.